2. The Work Opportunity credit. This credit is available for hiring from certain disadvantaged groups, such as food stamp recipients, ex-felons and veterans who’ve been unemployed for four weeks or more. The maximum credit ranges from $2,400 for most groups to $9,600 for disabled veterans who’ve been unemployed for six months or more. 3. The Sec. 45L energy-efficient new home credit. An eligible construction contractor can claim a credit for each qualified new energy efficient home that the contractor built and that was acquired by a person from the contractor for use as a residence during 2014. The credit equals either $1,000 or $2,000 per unit depending on the projected level of energy consumption. 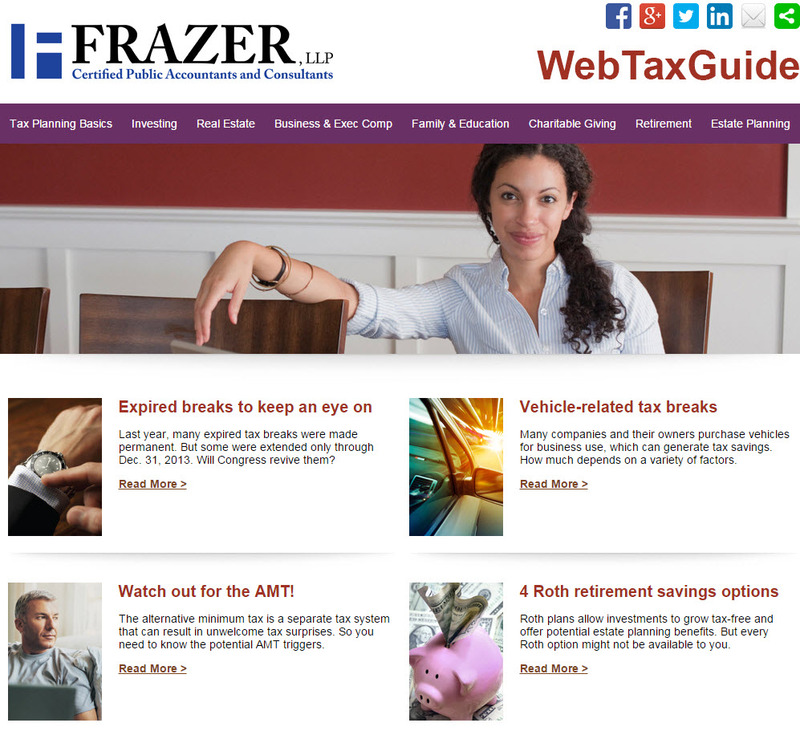 To learn whether you qualify for these - or other tax credits extended by TIPA - please contact your Frazer LLP tax advisor in Brea, 714.990.1040, or Visalia, 559.732.4135.